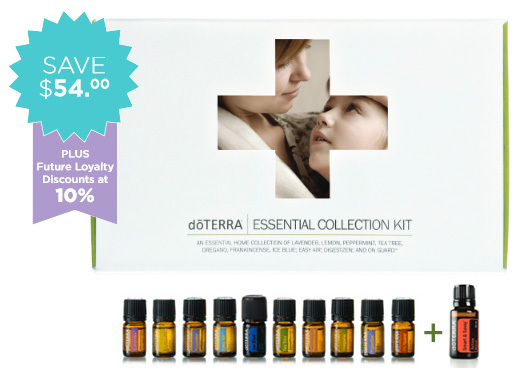 This kit is designed to gently nurture our hormones back into a state of balance. Side effects may include a happier mood throughout the month, clearer mind, reduced premenstrual or menopausal symptoms. Running on a cortisol and adrenaline charged system 24/7 without respite can result in significant health challenges such as adrenal burn out, thyroid problems, fertility issues, dysfunctional hormones, autoimmune illness, a low libido and mood. Frankincense: Supports healthy cortisol levels, calms the nervous system and mind, reduces inflammation, eases anxious feelings. Ylang Ylang: Reduces cortisol levels, blood pressure and anxious feelings. Calming and uplifting. Excellent mood booster and natural aphrodisiac. Lavender: Reduces cortisol levels in the body, regulates mood, promotes healthy sleep cycles, encourages Parasympathetic activity. Geranium: Regulates moods and healthy hormone levels. Encourages dysfunctional menstrual cycles back into balance. Soothes the Sympathetic Nervous System. Nourishes the adrenal cortex. Clary Calm: Regulates menstrual cycles, eases PMS symptoms, balances hormone levels, soothes Menopausal symptoms, tones the uterus, supports heavy flow, natural pain management. Wild Orange: Encourages the release of xenoestrogens, cleanses and detoxifies the system, supports the release of excess cortisol. Fractionated Coconut Oil: To dilute and blend your oils safely. 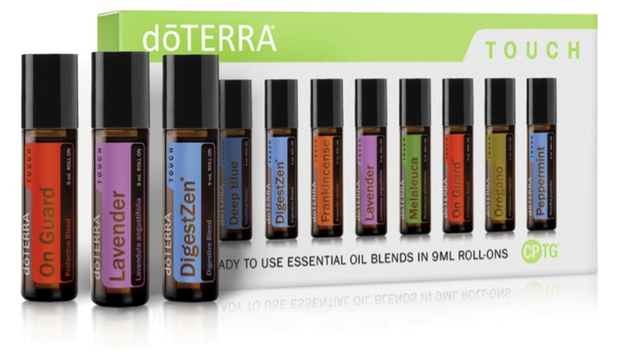 * Includes Wholesale Membership for 12 months + a Free Wild Orange & VIP Perks. 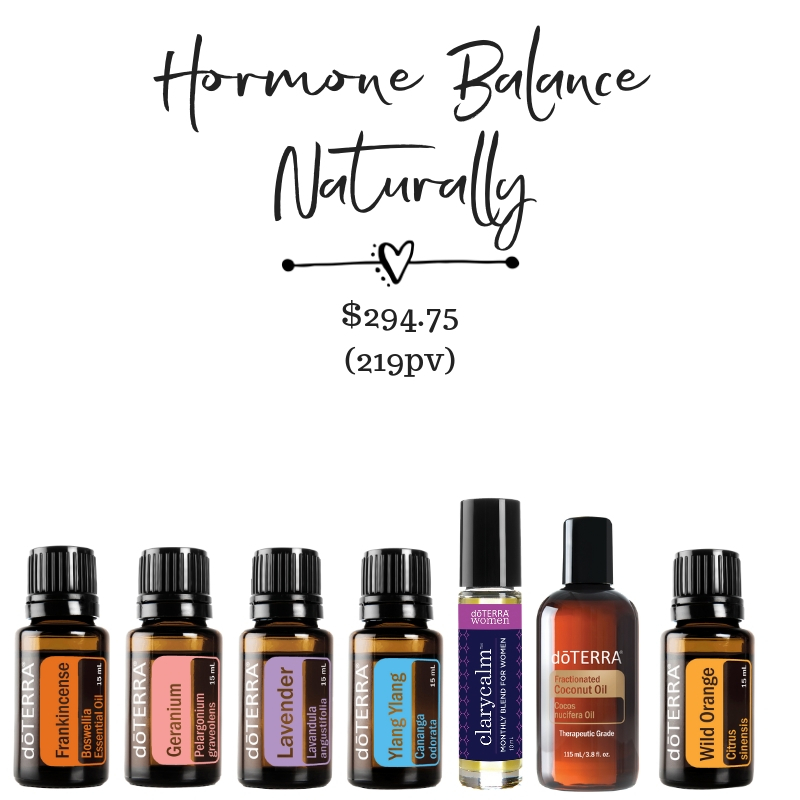 To order this kit- Write down all of the oils above, then follow the instructions here to create your custom hormone kit. 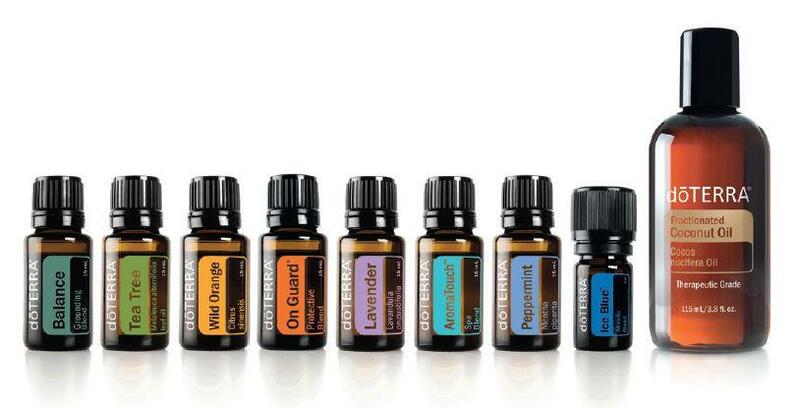 I'll be in touch after you've placed your order to walk you through exactly how to use them ok! 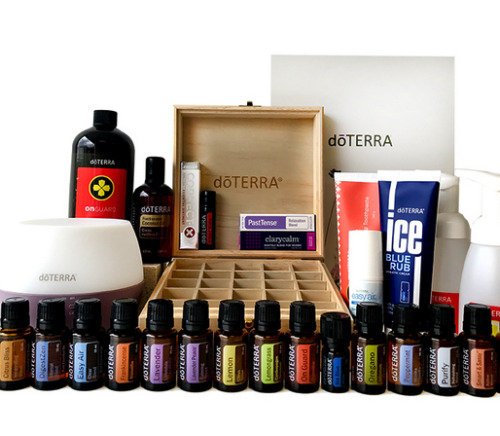 This kit is a collection of essential oils for adrenal fatigue and has been designed to renew the nervous system, strengthen the adrenals, reduce inflammation and support healthy cortisol levels. Basil Essential Oil- known as “The Oil of Renewal.” It brings rejuvenation of vital forces after long periods of burnout and exhaustion. It also strengthens the adrenals and builds resilience to stress. Geranium Essential Oil- Balancing & uplifting. It is an excellent regulator of the adrenal cortex working to gently regulate hormone production and support the immune system. Rosemary Essential Oil- decreases cortisol levels in the body very effectively so if that is something you are wanting to achieve it would certainly be a powerful oil for you. 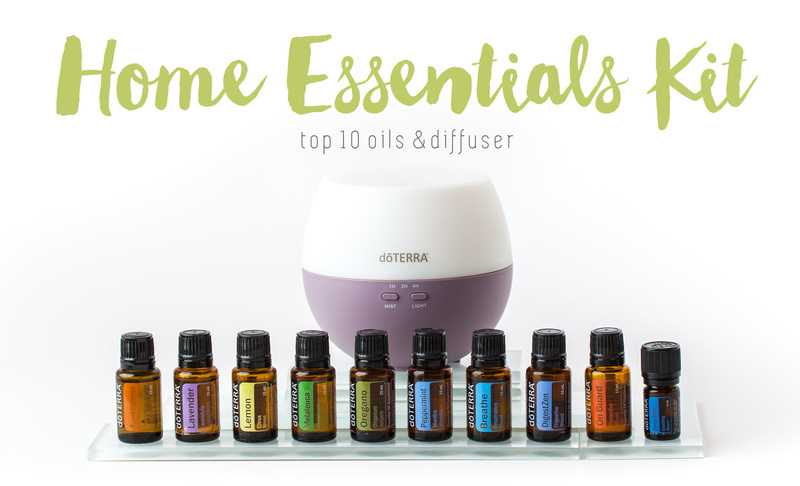 DDR Prime Essential Oil Blend- An essential oil cellular complex which is absolutely remarkable and a must have for overall cellular health as well as targeted energy/ adrenal/ immune support. Lifelong Vitality Supplements - Are key to the success of returned health and thriving adrenals. They nourish our Mitochondria which are at the epi-center of our energy production. * Includes Wholesale Membership for 12 months + a Free Grapefruit & VIP Perks. 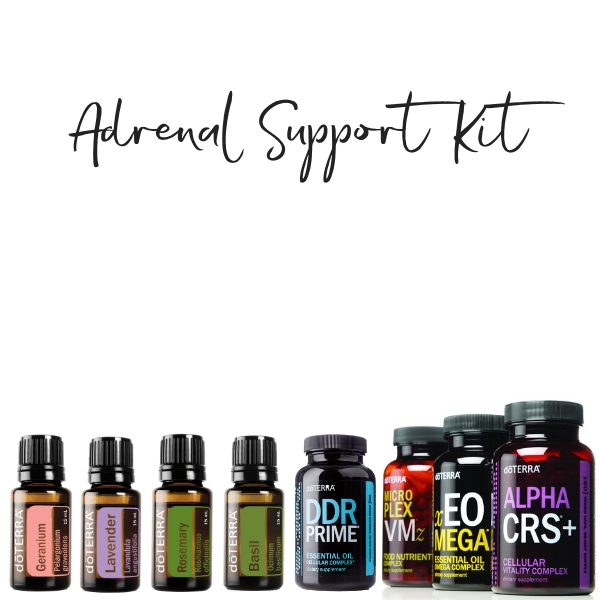 To order this kit- Write down all of the oils above, then follow the instructions here to create your custom Adrenal Support Kit. 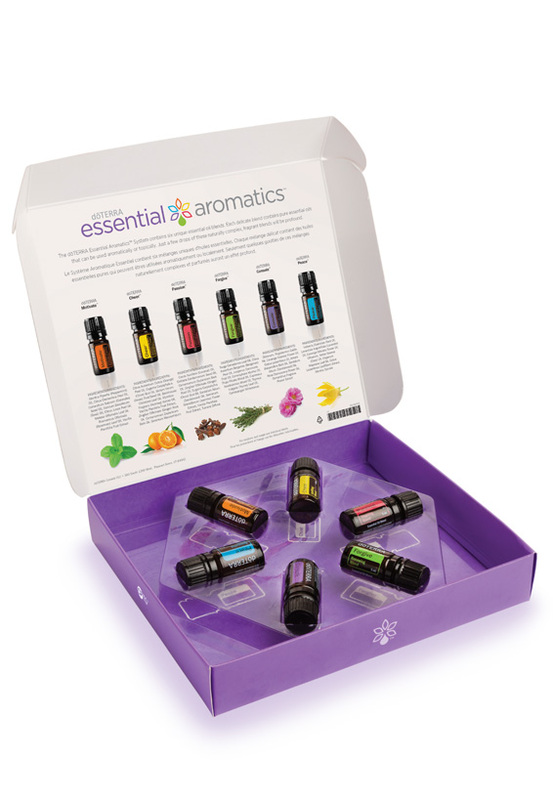 I'll be in touch after you've placed your order to walk you through exactly how to use them ok!